Speed dial button to send e-mails to your "Take-out". Easy and quick to configure. Don't miss **FACECALL** if you want to have the icon with the actual photo and name of your "Take-out". With FaceCall you can create as many photo icons as you want. + Do you want to SMS or e-mail your "Take-out"? 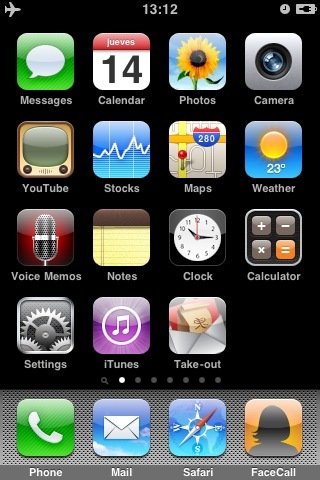 To change the configured e-mail address look for "Take-out" in iPhone Settings app. 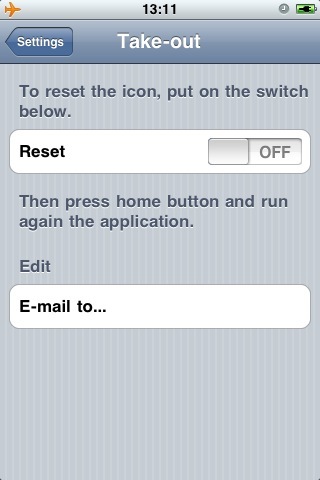 There, you can edit the e-mail address directly or reset the configuration. 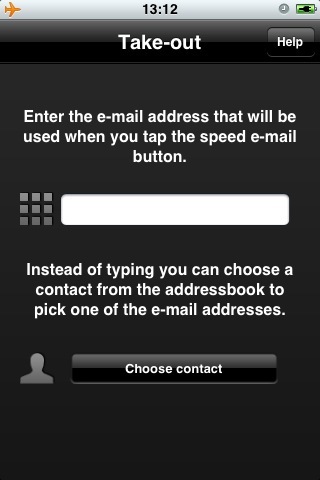 You'll be able to choose a different contact in the next application run.